There are four types of alert notifications that can be triggered: displaying a pop-up message in X_TRADER, sending an email message, display a color, or play a sound file. You can use one or more of these alert types in combination. For example you could just have a message popup, or have both a message and a sound. Click OK to dismiss the alert. Click Disable Alert to prevent the alert from showing again. The Audit Trail alerts display in the selected color. The Alert Definition Section triggered time background. When an email alert is triggered an email containing the name and condition of the alert is sent to a list of recipient(s). Prior to using an email alert, you must enable and configure the email settings on the Alerts tab within Properties. When an alert is triggered, the selected sound will play. 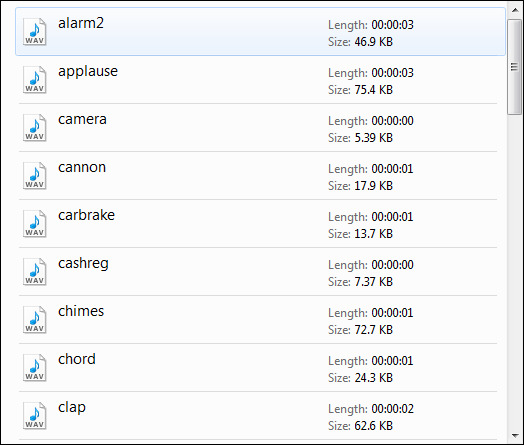 X_TRADER has a standard set of sounds within the <rootdrive>:ttsounds directory.